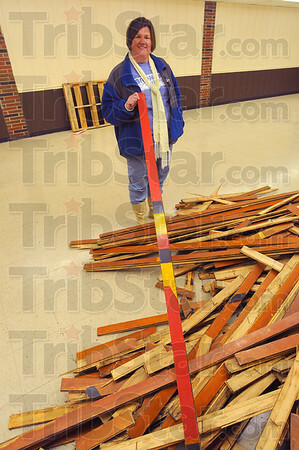 WhatamIbid: Jan Branam holds a piece of the old Gerstmeyer Tech basketball gym floor. The memory laden wood as well as other remnants of Gerstmeyer and Chauncey Rose Middle School will be auctioned off today. The auction starts at 10:00a.m.